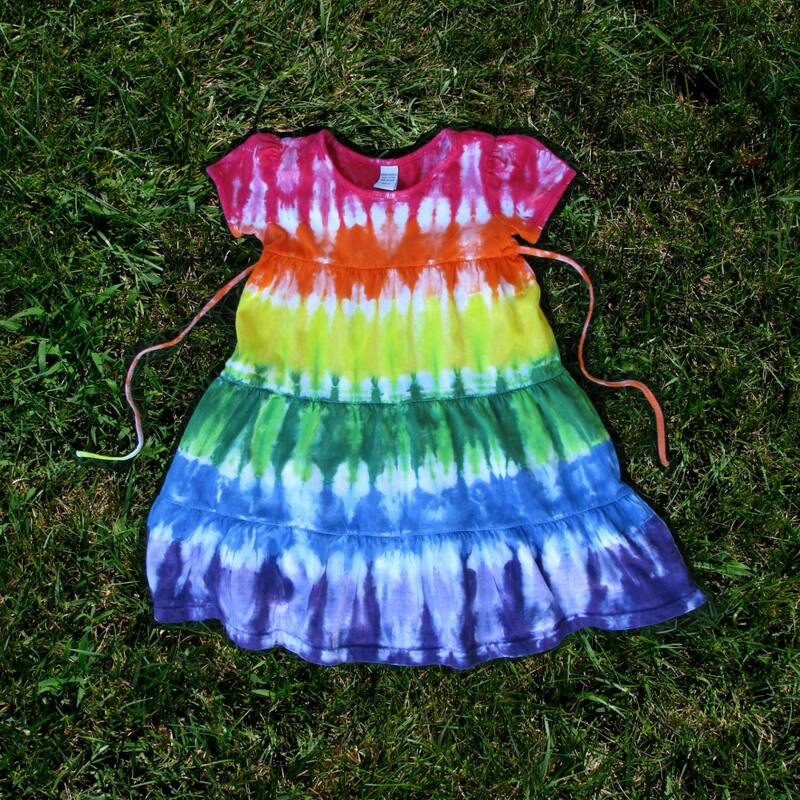 Rainbow tie-dye short-sleeved dress with ties, tiers, and maybe a pink heart! 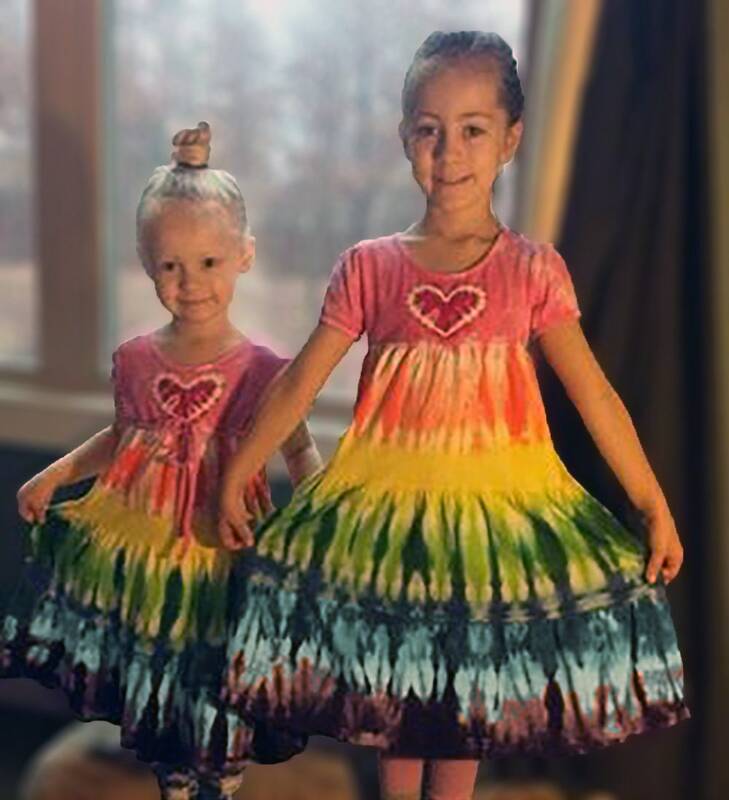 Rainbow birthday party, here we come!! For a special celebration or everyday wear, Four gathered tiers give maximum flounce to this cute cotton dress. 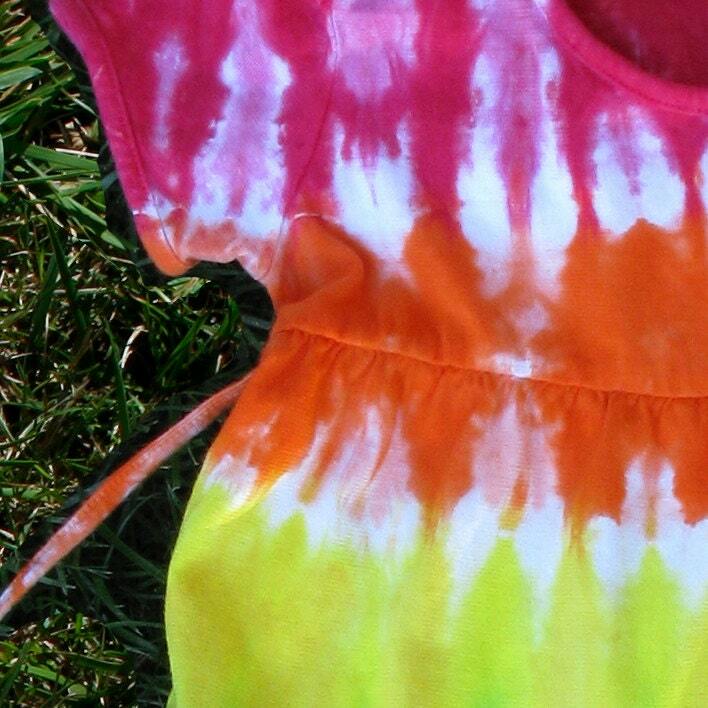 Ties in the back, tie-dyed in beautiful rainbow hues. If requested, have a pink heart on the top instead of the red stripe. 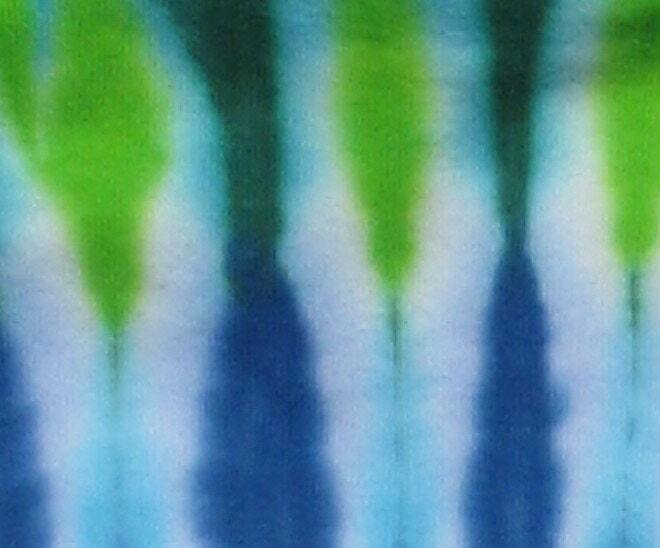 I use professional dye that will not run or fade.